On this beautiful August day, I had the honor of working with the W family right in front of their beautiful beach house in Rodanthe NC. The vivid outfits that the W family chose are perfect for family portraits in Rodanthe on the beach! Vivid yellows and blues always pop against the beach and sky and really allow you and your family to stand out. If you’re comfortable with bright colors, the beach is the perfect place to show them off. I always look forward to working in The Outer Banks and I’m truly excited to share the Williams family pictures with you today. I’d love to work with your family as well! If you would like more information about Outer Banks Family Photography, simply contact me. Mirlo Beach Family Portraits at the iconic The August Lauren in Rodanthe, NC. If there was a dollar for every time I’ve driven past The August Lauren… I suppose there’d be enough to eat lunch at Spanky’s in Kitty Hawk for a year or so. On this beautiful July day, I had the honor of working with the M family right in front of their beautiful beach house at Mirlo Beach in Rodanthe NC. The power of the Atlantic Ocean is always on display at Mirlo Beach and the S-Curves in NC-12. Without the recent beach nourishment project, it’s likely that The August Lauren and her sister houses would be underwater. The colorful outfits that the M family chose are perfect for family portraits in Corolla on the beach! Vivid yellows and blues always pop against the beach and sky and really allow you and your family to stand out. If you’re comfortable with bright colors, the beach is the perfect place to show them off. I always look forward to working in The Outer Banks and I’m truly excited to share the M family pictures with you today. I’d love to work with your family as well! If you would like more information about Mirlo Beach Family Photography, simply contact me. There are few places I enjoy working more than the Outer Banks of North Carolina. When I receive email requesting a quote for family portraits in Corolla, I’m always elated (hint-hint). I took some of my first footsteps just down the beach in Avon; walking the beaches of the Outer Banks as an adult has always helped refresh the memories I’ve made here over the years. On this beautiful July day, I had the honor of working with the extended R family right in front of their beautiful beach house in Corolla. The evening air was filled with the fond crispness of an autumn day in July none the less. Chalk up some thanks to an easterly wind and the cool Labrador Current. 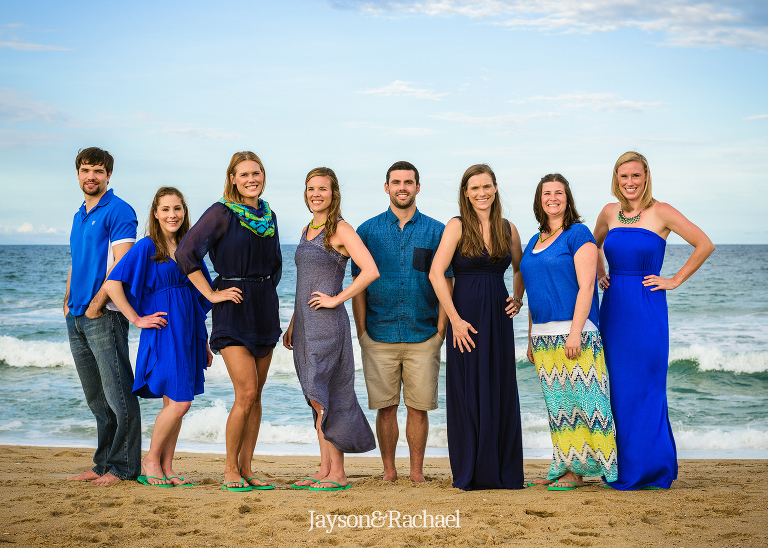 The colorful outfits that the R family chose are perfect for family portraits in Corolla on the beach! Vivid blues and greens always pop against the beach and sky and really allow you and your family to stand out. If you’re comfortable with bright colors, the beach is the perfect place to show them off. 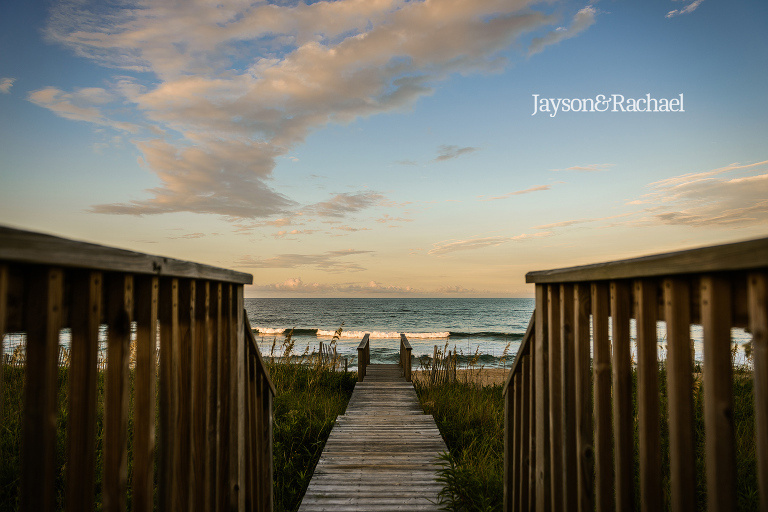 I always look forward to working in The Outer Banks and I’m truly excited to share the R families pictures with you today. I’d love to work with your family as well! If you would like more information about Corolla NC family photography, simply contact me.